It's freezing. But my hands are warm. They normally wouldn't be in January, in the chilly attic here where I type. 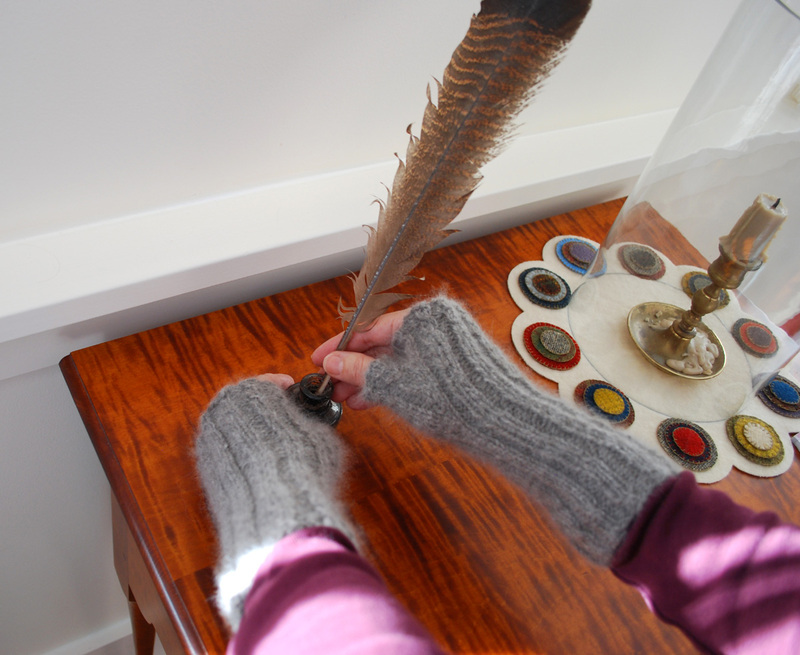 I slip them into fingerless mitts before I write. 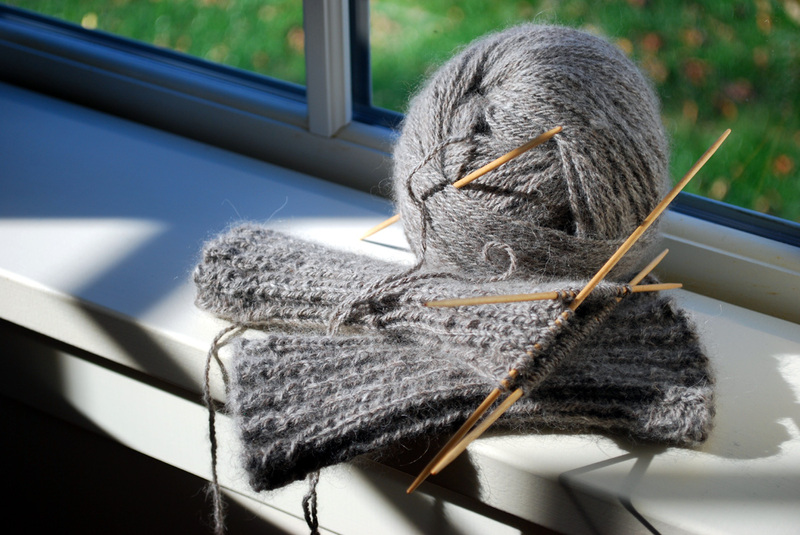 Knowing what our Januaries are like I finished the mitts back in autumn. I knit them in a yarn that is baby-soft. It's a luxurious yarn from blog friend, Mary Lou, who raises the fluffiest angora rabbits for Angora Gardens. Angora yarn is my top choice for itch-less mitts. 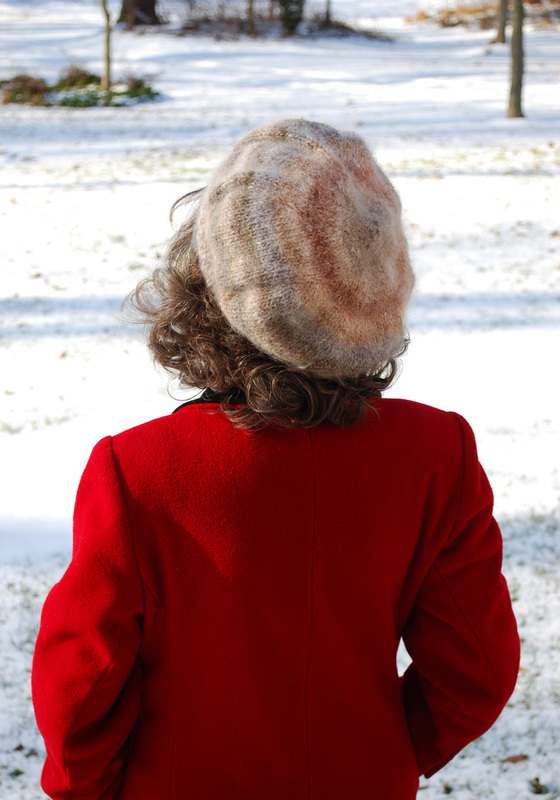 And since I've made a minute for knitting, here's the beret I made. 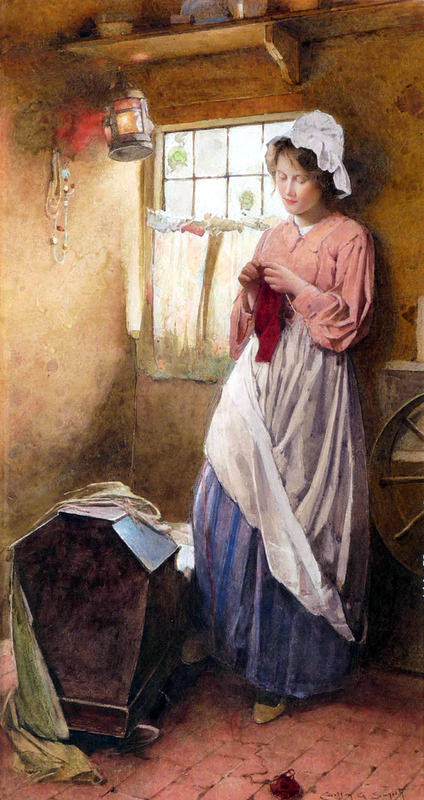 I like the young mother knitting in the above painting. And I like the following painting, "A Willing Helper" by Mihaly Munkacsy (1844-1909). 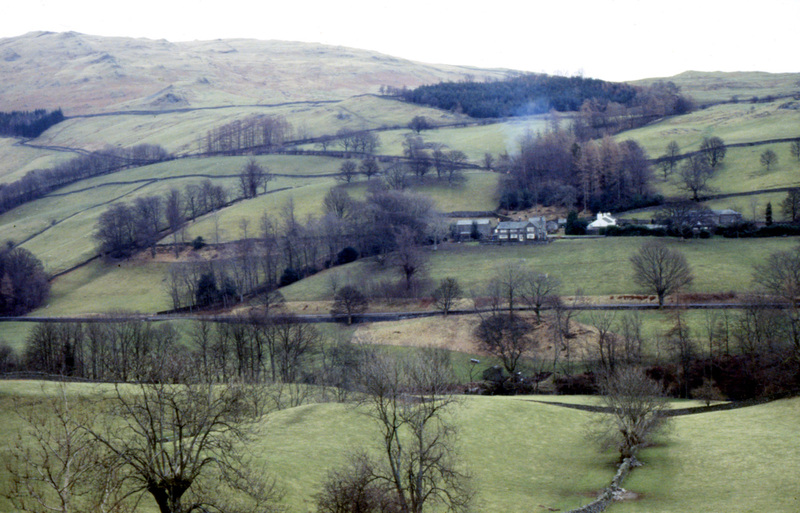 You can understand why the scene would be so appealing to me this time of year. The figures look warm. What a beautiful conservatory filled with flowers. Sunshine is streaming through the window glass bringing a brightness to the room that matches the brightness of the mother's face. She looks content and bright in her femininity, too. Her gown, with its cascades of soft ruffles, appears to be un-corseted - unconventional for the 19th century. Her decision to dress comfortably (at home at least) was the daring that preceded Edwardian fashion. Pausing in her needlework she keeps (with casually acquired skill) one eye on her embroidery and one eye on her daughter. This little girl carries a watering can satisfyingly heavy enough to give her a feeling of really helping. You can see it in her smile. Something else is unconventional here. Mother and daughter are together. You would think a well-to-do family in a house large enough for a conservatory, would have a nanny. Most did. Perhaps the nanny is keeping an eye on a baby somewhere in the big house. But I'm day-dreaming. "Children should have the best of their mothers." ". . . however-much we may delight in them, we grown-up people have far too low an opinion of children. If the mother did not undervalue her child, would she leave him to the society of an ignorant [nanny] during the early years when his whole nature is, like the photographer's sensitive plate, receiving . . . indelible impressions? . . . Very likely it would not answer for educated people to always have their children about them. The constant society of his parents might be too stimulating for the child; and frequent change of thought and society of other people, make the mother all the fresher for her children. But they should have the best of their mother, her freshest, brightest hours; while at the same time she is careful to choose her [nanny] carefully, and keep a vigilant eye upon all that goes on in the nursery." Miss Mason speaks from experience. Further along the page we find she has the inside scoop on nannies. She knows what happens to children left for long hours with an ignorant nanny, one who resorts to trickery to get a child to behave. These frail child-training-devises encourage children to take on a code of trickery themselves to get what they want. 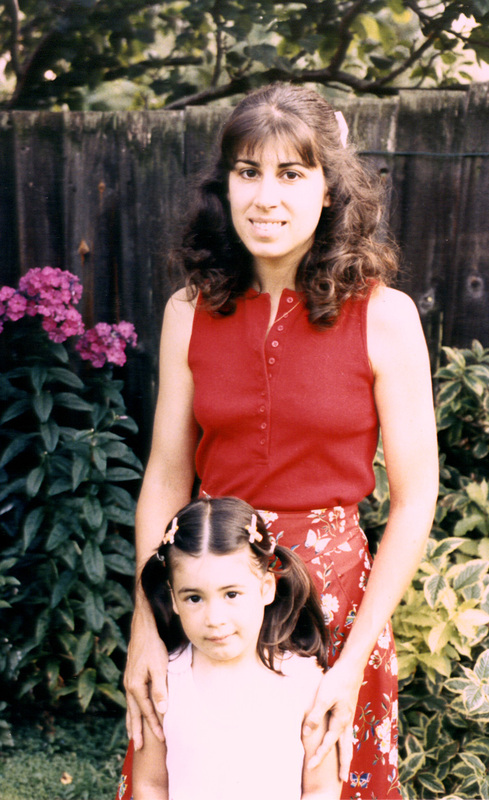 More of a mother's participation than was conventional, and of that, her freshest, brightest hours, is the plea. 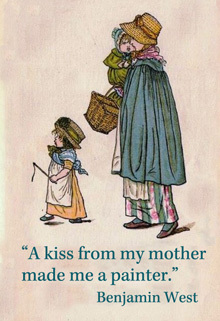 The majority of Miss Mason's readers relied heavily upon nannies. She knew she couldn't overthrow convention. She could only hope that nannies would be relied upon less - and be overseen more closely. In the houses of "educated people" - during the earliest years of Miss Mason's writing (1880s) - it was customary for young children to be confined to the nursery. 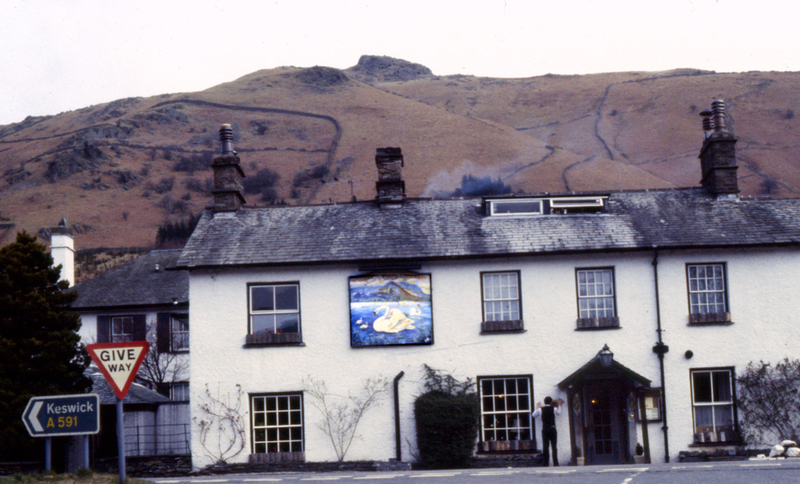 Such was the childhood of Beatrix Potter. Children were accompanied by their nanny everywhere - at meals, when walking through the park, etc. While upholding the supreme value of mothering Miss Mason admits that mother and child need a refreshing change of scenery, too. 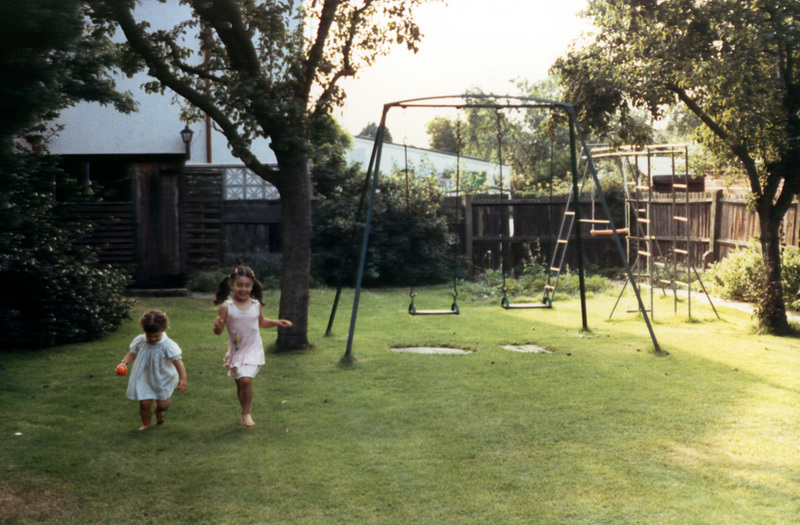 At intervals a child should turn his attention onto his play (outdoors is ideal) for instance, while the mother turns her attention (one eye) on her own occupations. A child indoors under constant commanding of his mother would make them both peevish. What's to be done? Some wise letting alone is the answer. As a young mother I left my children to rely upon their imagination and to exercise their budding ingenuity. I left them to occupy themselves. 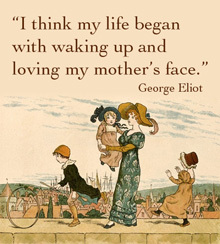 Like thousands of unconventional mothers - my fellow home teachers - each morning I gave my freshest, brightest hours to my children in our time-table of lessons. At lunchtime I initiated conversation with cheerful smiles and a sense of humor (the ideal). 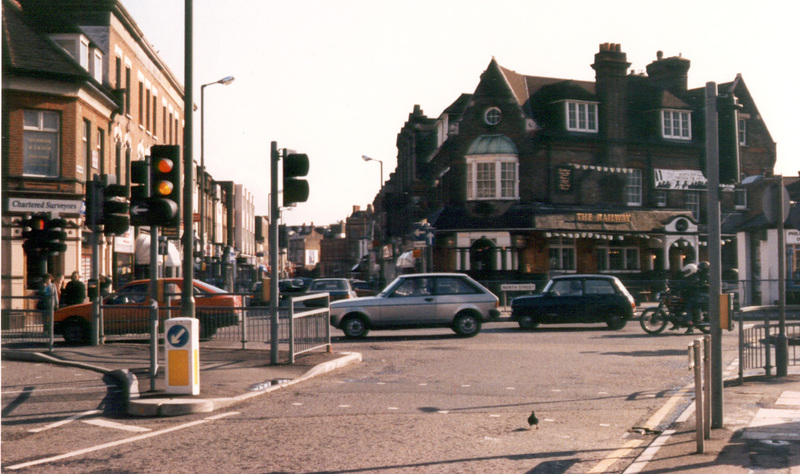 But for a space of time in the afternoon we all needed a change of pace and a change of scenery. Therefore we lived in our own bubbles. Through a thin layer of privacy we could see and hear one another. We were together but attending to our separate occupations inside our bubbles. I remember hearing my girls giggling, my son's wooden blocks tumbling to the floor, the dragging of stuff out the back door, etc. 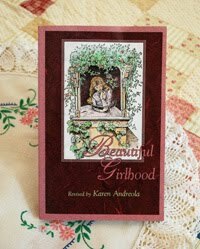 while I was preparing a meal in the kitchen, writing a letter at my desk, tidying an overstuffed closet, or mending a torn seam in an easy chair overlooking the back garden - where the stuff was being arranged. And sometimes . . . I would refresh myself with a little Mother Culture. Perhaps I would retreat into the society of book friends. Safe neighborhood play - what I (and past generations of Americans) experienced when young - did not exist for my children. But they had each other. During a week of rainy days, or when one (or all) had a cold, or we were becoming moody with cabin-fever, I called upon the help of a nanny. Out came our box of audio cassettes. They were our nanny. Often, the children drew pictures at the dinning room table while they listened. 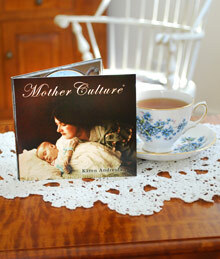 Blog friend, Kristyn enjoyed sitting down to a little Mother Culture. 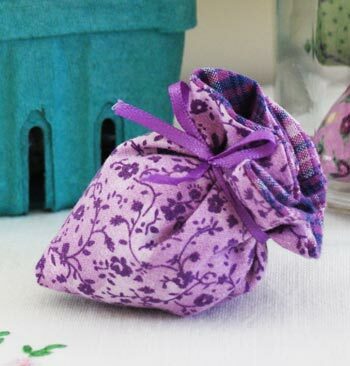 She finished her Lavender Strawberry Sachets. 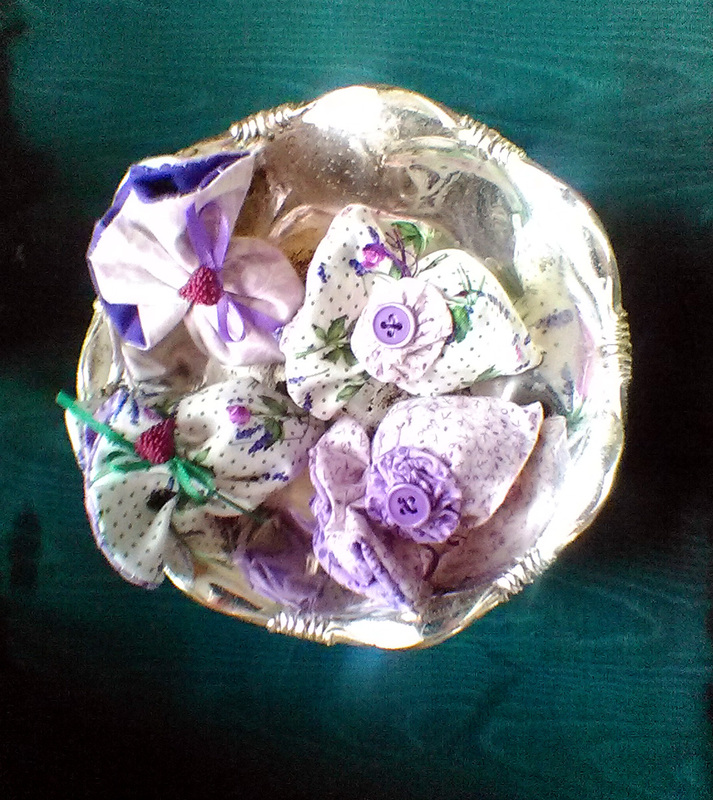 Rather than simply tying them with the satin ribbon in the kit, she embellished two with teeny yoyos made from fabric scraps. Aren't they darling? Little buttons secure the yoyos. She told me that she has lots of little-girl-style buttons but her girls have outgrown the need for them. 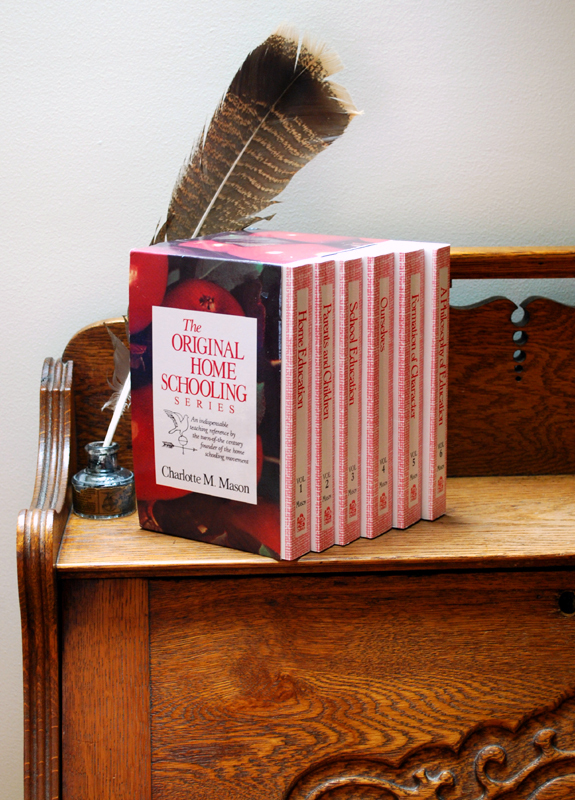 Publishing The Original Homeschooling Series was our first contribution to the homeschooling movement. After a long run, our edition is now out-of-print. It's hard saying goodbye. Do you have a minute for me to share the story with you of its beginnings? 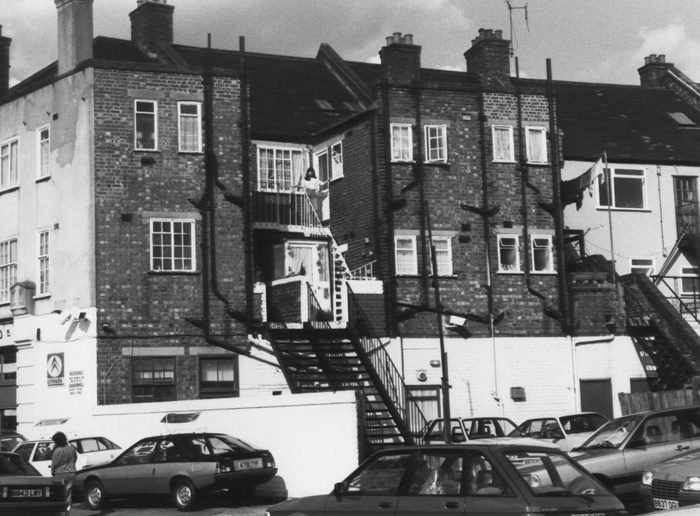 The photographs in this post were taken during our year of Christian literature missions with Operation Mobilization - based in Bromley, England. Once upon a time, British educator Miss Charlotte Mason (1842-1923) was not a household name with American home educators. That was about to change. It was midnight. All was quiet. The room was dark. I was sitting in a little pool of light reading Home Education by Charlotte Mason. I had finally got hold of a rare copy by way of London's inter-library loan. Intrigued by what I had read that winter of 1986, in Susan Schaeffer Macaulay's book, For the Children's Sake, I longed to read more. My children were young. 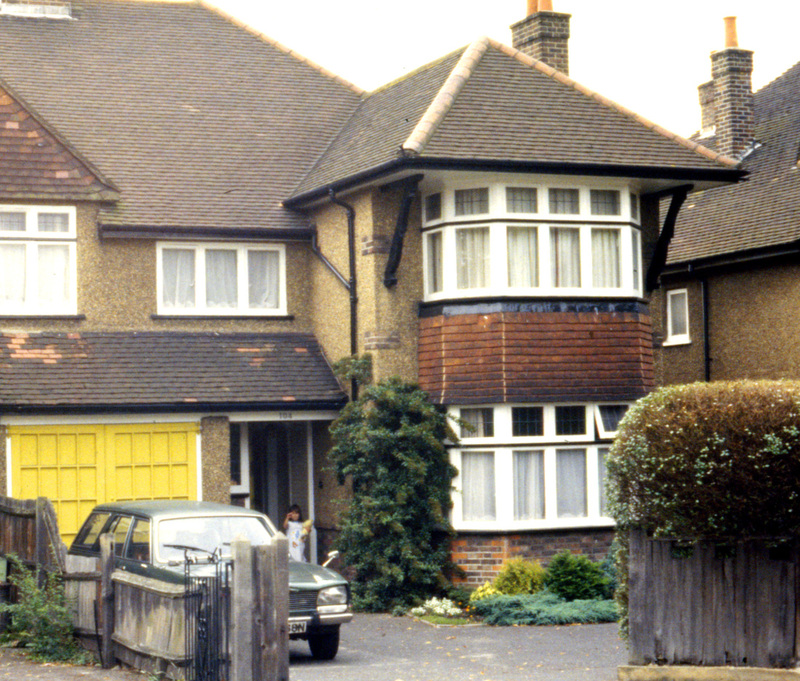 We were Americans living in the London suburbs far from the dawning homeschool movement back home. Joy! 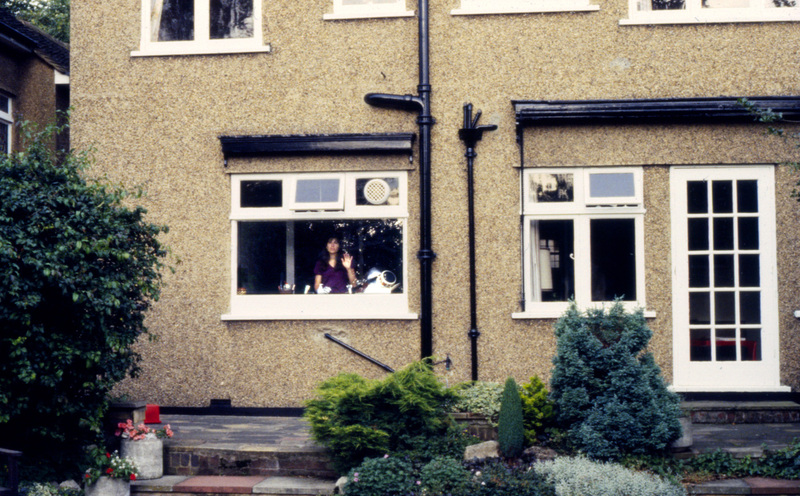 We moved to a semi-detached with back garden. I longed for a copy of Home Education of my very own. 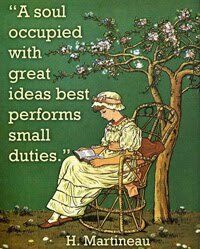 Miss Mason's wisdom gave me the practical direction I craved. At first, I found my reading of it to be a little of an awkward experience (she wrote Home Education 100 years prior). Yet her words were welcoming, confidently authoritative, and assuring. This kept me reading. She made me want to step out and try what she so ardently advised. Thus began my husband's amazing quest. In search of any and all books written by Miss Mason, Dean telephoned every used bookshop in Great Britain. To no avail. 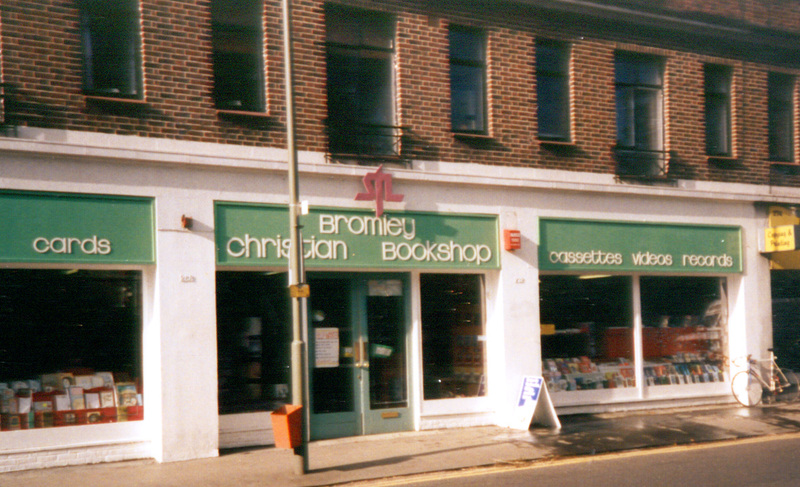 Next, Dean tracked down the last British publisher of Miss Mason's books and gave them a call. A salesman told him that they had just relegated a warehouse full of Miss Mason's hardcover books "to the bin" (a dumpster in this case) due to lack of sales. "If only you would've rung up two weeks ago. I could've sold 'im to you cheap. We've been sitting on 'im since the 1950's." Just as Dean was about to give up, an elderly book shop owner told him, "Haven't seen any of Miss Mason's works for years . . . but have you tried the Charlotte Mason College?" A stunned silence followed. We were unaware that such a place existed. 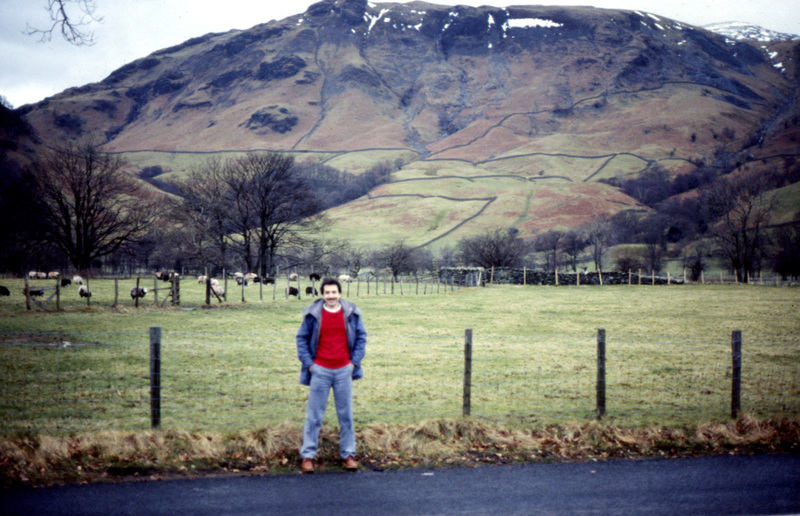 In the early spring of '87 Dean was away on business for the Christian literature mission he worked with. 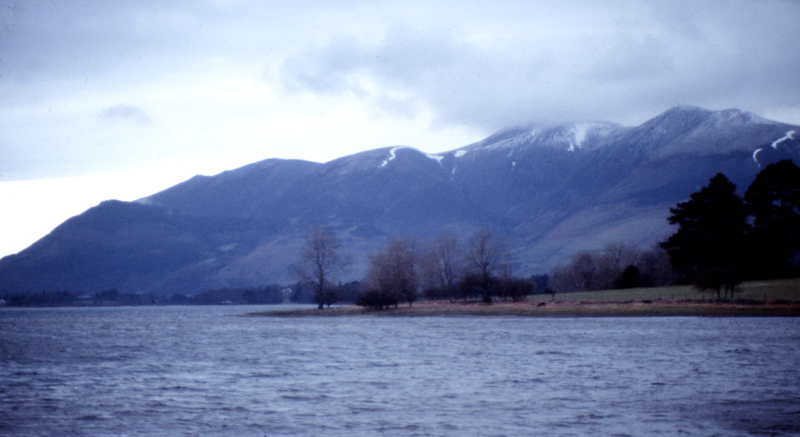 Travels north brought him near Scotland's boarder, and as Providence would have it, the Lake District of England; home of Beatrix Potter, William Wordsworth and . . . the Charlotte Mason College. 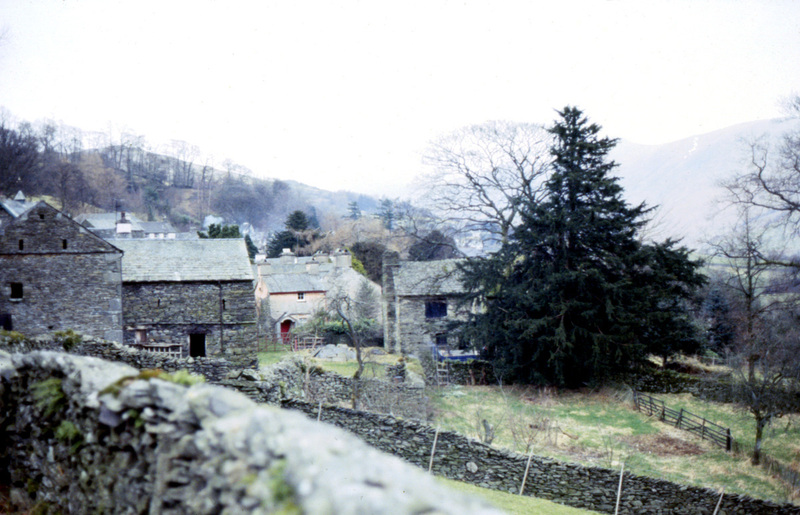 After booking into a B&B in the quaint village of Ambleside, he stepped into the college library and asked the librarian to direct him to the works of Miss Charlotte Mason. "Oh, we don't keep them out here," the librarian said, waving a hand toward the shelves all around the room. "Not much interest these days. I'll get the set out of the vault if you care to sit with them for a bit." And sit Dean did . . . for the next several hours . . . wishing that I were beside him to enjoy the moment. He wasn't watching the clock. After closing his eyes and rubbing his forehead he got up and found the librarian again. He hazarded to ask if he could borrow the books. The librarian strictly informed him, "It's the only complete set we have, and they're not for loan." Having come so far Dean was not ready to call it quits. He said, "May I have a word with the college president, if he is available?" "He sees no one without an appointment," came the reply. "Tell him that I represent publishers in the USA who may wish to reprint these books and I would be delighted if the president would consider writing the forward." The librarian dialed the president's office from a short-corded wall phone. With his back turned, he spoke in hushed tones. Dean waited, composed but a little anxious, straining his ears for what he hoped would be good news. He didn't wait long. Soon after he was met squarely with, "Dr. Thorley will see you in five minutes." Dean spent the next hour with cheerful, gracious Dr. John Thorley, a Greek and Medieval history scholar, who exhibited a rare enthusiasm for educational reform. He was more than happy to give Dean a walking history of the school, a brief biographical sketch of Miss Mason, and finally to his delight, a package containing all six of Charlotte Mason's rare out-of-print books - on loan from the archives. Our mission term ended that spring. We headed home with one of the only complete sets of Miss Mason's books. It was nestled securely in a carry-on flight bag - not a suitcase. Dean would not entrust them to any airline baggage handlers. Back in the States Dean was in communication with Christian publishers to see who would take on the expensive and risky project of reprinting the entire six volumes in a box set. After months of rejections one publisher agreed. And in 1989 The Original Homeschooling Series was published by Tyndale House with Dr. Thorley's forward as promised. Tyndale House kept it in print a few years. After this we took on the printing - although the cover remained the same. Only in its latter years did we bother to make the change to our logo. Years of endeavoring to work out what I understood from my reading followed. 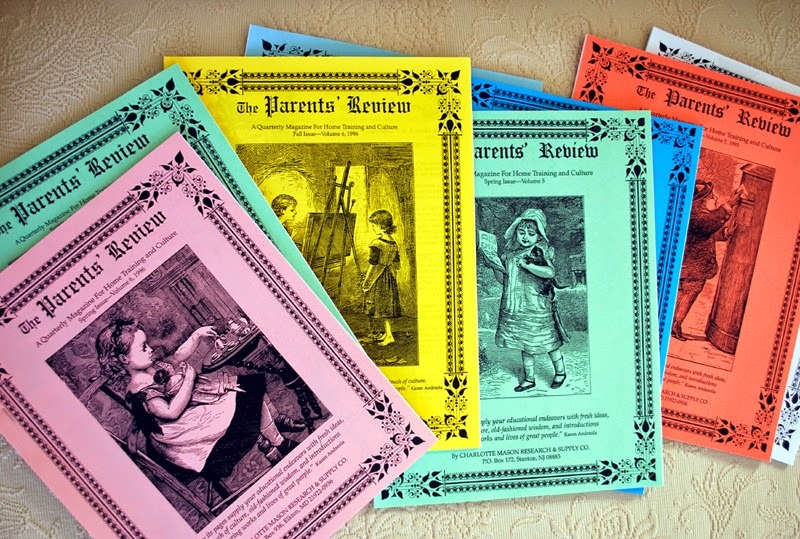 In the 1990s we hosted a monthly CM home discussion group, edited and mailed out a quarterly CM magazine (Parents' Review), and Mary Pride asked me to become a columnist for her Practical Homeschooling magazine - which enabled me to offer my personal interpretations of the CM method to her readers. 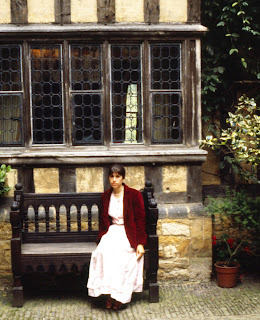 In '97 I finished writing A Charlotte Mason Companion. A movement was emerging. Today by way of the Internet, many voices are spreading the message. It's marvelous. Miss Mason's simple, yet straightforward method is being employed with freedom and success in homeschools and a growing number of private schools. For those who have the courage to trust in the natural, God-given curiosity of their student - a burden is lifted. A new refreshing learning experience awaits all who follow what I call "The Gentle Art of Learning." Charlotte Mason's ideas are being passed friend-to-friend, mother-to-daughter. I now hear, "My mom read your book." Miss Mason could not have known how her wisdom would be enthusiastically welcomed by tens of thousands of American families a century later. Thank you Susan Macaulay for introducing us to her. Thank you Dean for finding her writings and keeping them in print for more than twenty years. 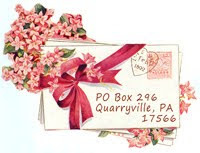 Thank you Mary Pride for inviting me to write in Practical Homeschooling back-in-the-day. 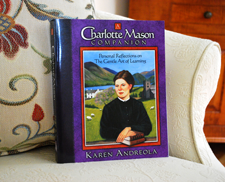 My gratitude also goes out to my blog readers who have shared their copy of A Charlotte Mason Companion or a book from The Original Homeschooling Series, hosted a discussion group, or have passed along Miss Mason's helpful ideas to a lonely, overwrought mom. Let's keep encouraging one another. Good ideas given in friendship go a long long way. Apstotle Paul tells us that what we do out of love abides. (1 Cor. 13:8,13). I have the gray hair to have lived long enough to witness this. The new name of our company is Charlotte Mason Research (LLC). We shortened it.